A Meatless Monday Post: Quinoa and a simple granola recipe! 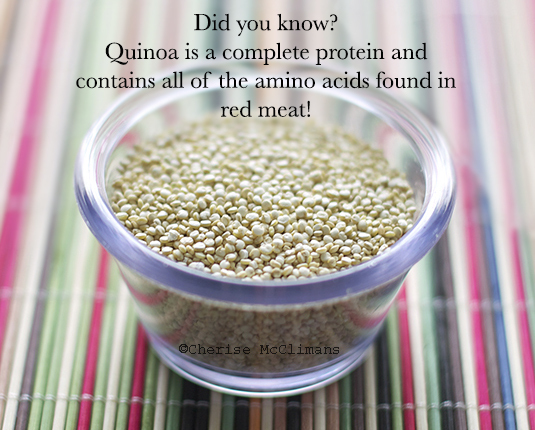 Oh quinoa, how I love you! Seriously, I do. It’s amazing. I had never had it before March of this year and I didn’t know what I was missing out on! A personal trainer friend introduced it to me and I was a little afraid to try it at first, because it reminds me of couscous and I’m not really a fan of that. But I was like ok, I will give it a shot. Well, don’t you know, it tastes like nothing! Yep, that’s right, big fat nothing. It has the consistency of rice (though smaller), and tasteless, so I could add some hot sauce to it for a Chinese stir-fry type of deal, or I could put some honey and fruit in it and make it a breakfast. The best part about it?! It’s a complete protein and contains all of the amino acids that red meat has and is also a good source of fiber! It’s closely related to the Spinach family which is probably why it’s so good for you. So go out and get yourself some quinoa and try it for yourself 😀 I find it in the rice section! Here is a simple quinoa granola recipe for you, because who doesn’t like granola? Seriously? And you can add whatever fruits you want to make it even tastier. Mix everything together and lay it flat on a greased baking pan, bake at 225 degrees for 60 minutes and voila, delicious homemade granola that is healthy for you and fantastic in a bowl of almond milk, on top of yogurt, or just straight from the pan! Even your kids will like it (at least my picky 4 year old did). Guys I know that losing weight is hard, seriously, I do. I’ve been on a journey to get this extra weight off for years. But this year I finally have, I’ve gone from a size 24 to a size 16/18 since March and I’m still losing weight! With a 4 year old, it’s common for us to have peanut butter and jelly around for lunches. 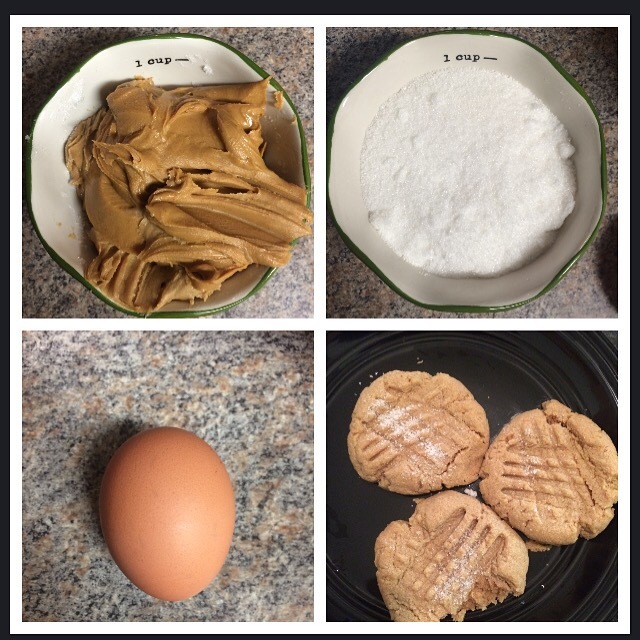 I had figured out how to make homemade peanut butter easily, but jam/jelly I remember making as a kid was such a pain! You had to boil a bunch of stuff, wait for things to sit, make it “just right” or you could have a lot of bacteria and get sick so I just opted to buy store bought jelly for convenience. I tried to get the “no sugar added” jellies or the natural preserves. But today there is a new star in our house! It’s not only delicious, but it’s raw food and vegan friendly! Oh yeah. Blend the strawberries until they are a consistency that you like, for a more preserve type, just pulse it a few times, for a more jam-like, blend it until it’s smooth. Then pour into a jar and add chia seeds and sweetener, then let it sit in the fridge for about a half hour before using. Voila! Your own homemade jelly/jam. So good!